A few weeks ago, I received these precious booties for our little boy. When I opened the letter that accompanied them, tears filled my eyes. They were from a friend. Not one whom I'd ever had a long conversation with. Not one whom I had hugged or even met...instead, an online friend. The note was simple but heartfelt. Months earlier, when I was trying to promote my Etsy shop, a dear friend (another online friend who I have actually met) hosted a giveaway of one of my prints. In order to gain an entry into the contest, one needed to comment with what print was their favorite and why. The friend who sent me the booties commented that a photo I had taken of a nursing cow and her brand new baby calf had really resonated with her due to the fact that she had recently discovered she was pregnant, but at the time she was writing, she had just lost her precious baby. I was in the same position, but I hadn't lost mine. So, then came this package...days before my due date. 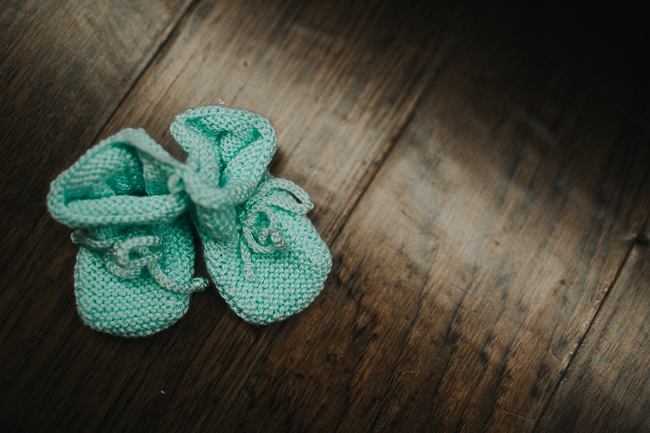 And, in the note she said she had been praying for me throughout the pregnancy and wanted my baby to have these little booties, perhaps a set she had hoped for her own. Right now they are in my hospital bag, and they are something I'll cherish forever, knowing that even in her immense pain, she thought to share a token of love for my time of joy. Which made me think...this online community has become such a treasure to me. When I first started blogging, I found it really odd to be sharing my heart with a world of people I had never met, and still so many I never will. Sometimes if I think about it too much, it makes me want to stop. But, instead of that today, I want to say thank you. Thank you for being a group of friends and support that I never really knew I needed. We don't always live in places where we can get together with friends in the same phase of life with the same ups and downs. We are not always surrounded by people with shared views and values. And, sometimes that can get lonely. But, I've found that here. And, even though it isn't a date over coffee or a glass of wine, sharing the joys and struggles of our daily lives, a quick comment, email or even chat can serve almost the same purpose. I've met women who have encouraged me in different walks of motherhood when I've felt alone. I've read others stories and have been inspired by the way they have chosen to face and carry their crosses. I've been reassured time and time again that I'm never alone in my frustrations, day-to-day glitches or concerns about parenting. I've also been so happily assured that others are sharing in my joys as well. And the best part...some of these online women have become friends I now know personally, whose hugs I've received and whose laughter I've witnessed. And, while this isn't the way friendships were formed decades ago, I am thankful for this community today. A professor of mine in graduate school was so very adamant about never using the term "real life" - as if any part of our lives wasn't "real" - so I don't use that term today. Instead, I'll say that some might not consider these online relationships to be true relationships, lacking a face-to-face connection. However, after having been a part of so very many blessings stemming from my little piece of the internet, I'd have to sorely disagree. Sweet internet friend, these little booties mean just as much to me as if you'd handed them to me at the close of a lunch date. Thank you. Thank you for your love, your prayers and your friendship. I will forever cherish it.